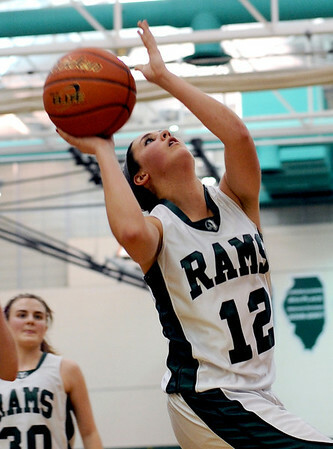 Sarah Nader - snader@shawmedia.com Grayslake Central's Skyler Jessop takes a shot during the third quarter of Thursday's crossover game between the FVC Valley champion and the FVC Fox champion on February 9, 2012 in Grayslake. Cary-Grove won, 58-54. Sarah Nader - snader@shawmedia.com Grayslake Central's Beth Arnold (left) guards Cary-Grove's Megan Leisten during the first quarter of Thursday's crossover game between the FVC Valley champion and the FVC Fox champion on February 9, 2012 in Grayslake. 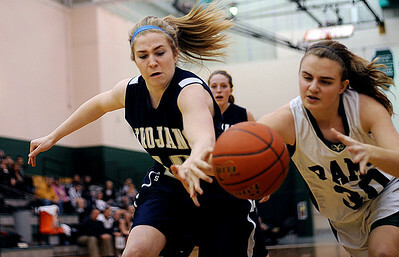 Cary-Grove won, 58-54. Sarah Nader - snader@shawmedia.com Cary-Grove's Megan Leisten (left) takes a shot during the first quarter of Thursday's crossover game between the FVC Valley champion and the FVC Fox champion on February 9, 2012 in Grayslake. Cary-Grove won, 58-54. Sarah Nader - snader@shawmedia.com Grayslake Central's Claire Brennan (front) falls to the ground while guarding Cary-Grove's Paige Lincicum during the second quarter of Thursday's crossover game between the FVC Valley champion and the FVC Fox Champion on February 9, 2012 in Grayslake. Cary-Grove won, 58-54. Sarah Nader - snader@shawmedia.com Grayslake Central's Skyler Jessop (right) tries to catch up to Cary-Grove's Olivia Jakubicek while she takes a shot in the third quarter of Thursday's crossover game between the FVC Valley champion and the FVC Fox Champion on February 9, 2012 in Grayslake. 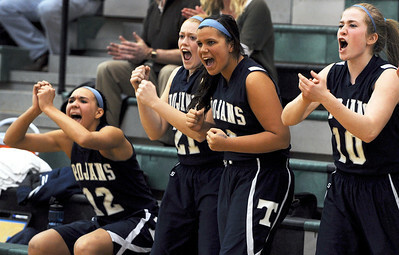 Cary-Grove won, 58-54. Sarah Nader - snader@shawmedia.com The Cary-Grove basketball teams cheers on their teammates during overtime at Thursday's crossover game between the FVC Valley champion and the FVC Fox champion on February 9, 2012 in Grayslake. 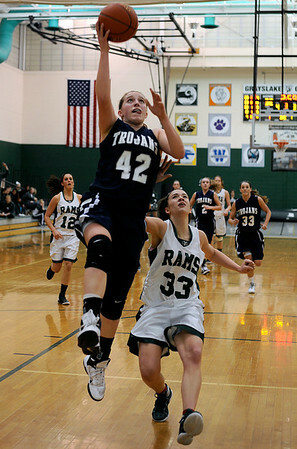 Cary-Grove won, 58-54. Sarah Nader - snader@shawmedia.com Cary-Grove's Katie Barker makes a lay up during the third quarter of Thursday's crossover game between the FVC Valley champion and the FVC Fox champion on February 9, 2012 in Grayslake. Cary-Grove won, 58-54. Sarah Nader - snader@shawmedia.com Cary-Grove's Paige Lincicum (33) guards a Grayslake Central's Skyler Jessop during the third quarter of Thursday's crossover game between the FVC Valley champion and the FVC Fox champion on February 9, 2012 in Grayslake. Cary-Grove won, 58-54. Sarah Nader - snader@shawmedia.com Cary-Grove's Hannah Phillips (left) and Grayslake Central's Michelle Lettenmair try to get control of the ball during the second quarter of Thursday's crossover game between the FVC Valley champion and the FVC Fox Champion on February 9, 2012 in Grayslake. Cary-Grove won, 58-54. Sarah Nader - snader@shawmedia.com Cary-Grove's Paige Lincicum (33) grabs the rebound during the fourth quarter of Thursday's crossover game between the FVC Valley champion and the FVC Fox champion on February 9, 2012 in Grayslake. Cary-Grove won, 58-54. Sarah Nader - snader@shawmedia.com Grayslake Central's Claire Brennan takes a shot during the fourth quarter of Thursday's crossover game between the FVC Valley champion and the FVC Fox champion on February 9, 2012 in Grayslake. 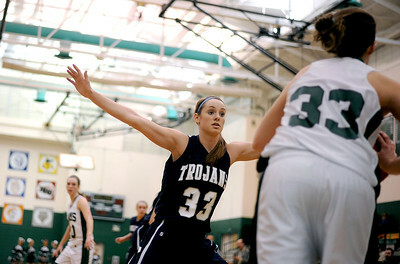 Cary-Grove won, 58-54.